Nintendo may or may not ever give us a woman version of Link from Legend of Zelda, but where there's a will, there's a way. Or a game jam. In recent times, there's been speculation that the next Legend of Zelda's Link will be a lady, not to mention an honest-to-goodness lady Link sighting in a Hyrule Warriors art book. But we can't play as her. Not in any dungeon-delving, innocent-vase-shattering adventures Nintendo's created, anyway. A bunch of things, actually. Typically, the first thing that comes to mind is top-down action-RPG style. Tons of Zelda games are exactly that. But there's also a bunch that rely heavily on platformer sections. Not to mention all the ones where the player is directly behind Link, similar to a Mario 64 or Grand Theft Auto. It could also be 2D or 3D, by the way. The player is a female named Link. How you define this is up to you. 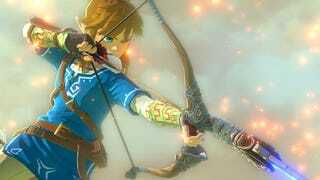 The game takes place in the Zelda universe. How you define this is up to you. So you can get pretty creative within those confines. You could, for instance, do a modern version of Hyrule where lady Link fights valiantly to keep the art of traditional swordsmanship alive despite the fact that Ganondorf just opened a trendy MMA gym (with an attached smoothie shop!) down the street. Or a space-age one where lady Link explores fantastical cosmos, full of alien species based on classic Zelda species and enemies, aboard her conspicuously stallion-shaped spaceship, the E.P.O.N.A-III. Or a game where you're an item shopkeep aiding Link, and you've got to figure out what she wants based on facial expressions, gestures, and other non-verbal cues (Link's not much of a talker, after all). Or a street racing game called A (Very Tenuous) Link To The Fast And The Furious. Those are only a few pretty horrible ideas, and you have my full permission to steal them! Do you know what Construct 2 is? Go download the free version of that, and then download one of the .capx files I've put together at the following links. You can try them out in the browser first, and they're even fully-commented. Pair that with a few Construct 2 tutorial videos, and suddenly you have a pretty basic understanding of how to make a platformer or top-down Zelda-style game. Seriously. Take a day and figure it out. Or heck, you can even jump into a text-based engine like Twine, learn the basics in five minutes, and go from there. I highly recommend it. Do it with friends, if you can. I've participated in a few game jams, and—though the games we created made my game reviewer bones want to forcibly exit my body—they were wonderful, enlightening experiences. If you love games, one of the most interesting things you can do is try making one. Doesn't matter if it's good or not. I mean, there's a prize for this jam, but that's not the point. Just inhabiting that headspace for a bit will change the way you view the medium. Also, I think a woman Link would be totally rad, and we deserve at least a few or 12 or 100 games about her. So, you know, get on that.